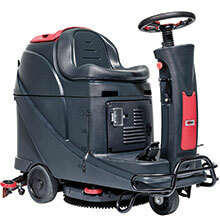 Large Battery Operated Floor Scrubbers are categorized by machines 26 inches and bigger. These machines can be used in mostly any scenario with wide isles or big lanes to clean, strip and polish. 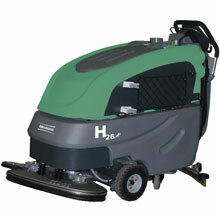 Battery operated floor scrubbers starting at 26 inch cleaning path make the every day job more efficient and prompt. Auto scrubbers with a large path can cover more space quicker than your standard small area scrubber. Small Battery Operated Floor Scrubbers - 14"-17"
Mid-Size Battery Operated Floor Scrubbers - 20"